An undetected fire can spread through walls for hours emitting toxic fumes before it finally results into greater hazards. Each year it leads to more than 3,000 deaths; with loss of property around 7 billion dollars just in united states. With almost 60 people died each day across the globe in average; it is required to detect and extinguish fire on time. It has been proved again and again over time that; most damage occurs due to lack of fire detectors and adequate fire prevention plan. Together with the fire detection and alarm system; one can be alerted beforehand to take adequate action before its too late. Furthermore its helps you pay less for insurance and firefighting. The fire is the product of heat, air and combustible material; while its byproduct are heat, smoke, infrared radiation and toxic fumes. A fire detector detects the presence of fire by monitoring these signs of fire. Based on their targeted byproduct; a fire detector is of four types i.e smoke detector, heat detector, flame detector and combination of two or more. Irrespective of their types; a fire detector must have audio-visual alarm signal controlled through a control panel. Moreover appropriate arrangement must be there to test the system electrically; without actually actuating it. The detectors should be as such; it can detect fire in a short time frame; under varying temperature and ventilation condition. A fire can behave differently in different condition based on the combustible material it feeds on. Based on the condition it can make or avoid much smoke or produce more heat than it normally should. While smoke detectors are normally used to detect different types of fire but where they are not much successful; a different type of fire detectors such as heat and flame type came into picture. A smoke detector identify the presence of fire by detecting the presence of smoke as its byproduct in the surrounding. A smoke detector can be based on photo electric or ionization principle. A photo electric type detector use a light source, light detector and an insect screen to detect presence of smoke. On another hand an ionization type detector use a radioactive isotope americium 241 as an ionization source. An ionization smoke detectors are more sensitive to smoke produced from live fire; whereas a photo electric types are more sensitive towards smoke produced during smouldering stage of the fire. An ionization based detector target the smaller and medium size particles of 0.001 to 2.5 micron; while photo electric type target medium and large particles of 0.04 to 12,000 micron. A smoke detector is installed in place where; the possible fire hazard is believed to produce considerable smoke to be detected. A photo electric smoke detector work on the simple principle that; light scatters when it strike on small particles. On another hand an ionization smoke detector use the ionizing property of air to conduct electricity. The photo electric detector then itself can be used in two types; by detecting light source or by decrease in its intensity. Under normal condition; the photo diode receiver does not receive any light to generate enough current to trigger an alarm. Now in event of fire; the smoke coming from fire scatters the light to fall on photo diode receiver. This generates a minimal current which then trigger the alarm circuit. A radioactive source can ionize the air to conduct electricity against the two charged electrodes. These electrodes are connected to a d.c power supply generally a battery through an amplifier. The ionization type detectors have two separate compartment; one sealed and one open to monitor electrical conductivity among them. Under normal condition air is ionized equally in both sealed and open container; to produce zero potential difference. Now in case of fire these ions react with smoke affecting the flow of current through the electrodes in open compartment. This creates a minute potential difference which then amplified to trigger alarm. A heat detector is a device used to detect presence of fire under condition; where a smoke detector is not suitable such as with environment full of dust or moisture. It is a cost effective robust structure that protect against fire; even under variable or harsh environmental condition. A heat detector is mostly used where protection of property is a key criteria; as it does not detect presence of smoke which accounts for the majority of fire related death. On other hand the best part is that; most heat detectors are connected with fire fighting system thus extinguishing fire in record time. A heat sensing fire detector raise the alarm when the surrounding temperature hit a threshold limit; or show an unnatural rate of temperature increase. The system consist of a bimetallic strip or thermistor to make or break the circuit. The only problem with these system is that; it has high thermal inertia. The thermal inertia is the time lag between; the temperature to reach from source to the detector depending upon others environmental factors. Which means it takes some time and sufficient heat for the fire to activate or trigger the heat detector. A electromechanical heat detector made of bimetallic strip; works on the simple principle of thermal expansion. The one part of the strip is connected to the circuit while the other open to environment. There is a little air gap between the open end of strip and other terminal of the circuit. The bimetallic strip expands as the temperature increase over time. After a point it expand enough to make contact with the terminal; to close the circuit and raise the alarm. In some design two bimetallic strip called; fast acting and slow acting strip is used. This helps trigger alarm under both rapid and slow rate of temperature increase. On another hand an electronic heat detector works based on the property of thermistor; to change its resistance with change in temperature. Basically the resistance of a thermistor reduce as the temperature increase. The basic circuit consists of parts such as thermistor, buzzer, resistance, power supply, zener diode and NPN transistor. A zener diode is connected in between negative terminal of power source and emitter of the NPN transistor. Similarly an alarm is connected in between positive terminal of power source and NPN collector. The thermistor is concreted between the power source and the base of NPN transistor with resistance in series. The zener diode maintain the emitter voltage at say 4.5 V. Now when temperature increase thermistor resistance decrease resulting in more current to flow through transistor base. This then trigger the alarm to sound. While fire detectors such as smoke and heat type rely upon the byproduct of flame or fire to detect; a flame detector targets the presence of flame to identify fire. A flame detector consists of an optical detector to find and respond to the presence of flame fire; through the U.V and infrared rays coming out of flame. A flame detector is used where instant response is required; have high temperature working area, working with highly combustible material and for unattended machinery space. The drawback of such a fire detector is that; it only work in case of flame fire with a tendency to give false alarm for arch welding in vicinity. A flame detector can be of U.V, Infrared type or both. An ultra violet detector works well within the range of 150 to 250nm; detecting any fire or explosion within a matter of 2 to 4 milliseconds. Similarly a infrared detector works within a range of 4 to 4.5 micrometer; to detect fire even penetrating particles such as dust, smoke and other air contaminants. Electromagnetic waves from ultraviolet to infrared is emitted during the combustion process. A photo diode is used to detect the presence of fire; by identifying u.v and infrared rays for the narrow band of wavelength emitted during combustion / fire. 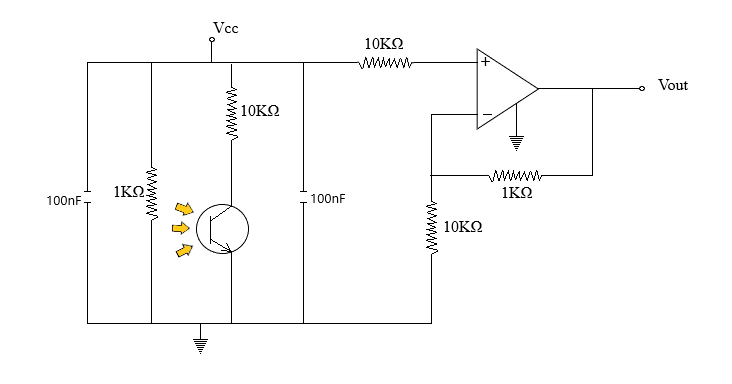 The device consists of an electronic circuit with resistance and logic gate arrangement along with the detector. The photo diode used to detect electromagnetic radiation is passed through a radiation filter to remove or avoid unwanted background radiation. These diodes are sensitive to fixed band of wavelength usually associated with fire. When it receives such wavelength of radiation; its resistance value starts to decrease. Since the diode is connected across the terminals of power supply with an resistance; it starts conduction under influence of radiation from fire. This output current is then passed through a logic gate to produce digital output to latter compare with a preset value. Now if the output value is beyond a threshold; the control unit in form of an i.c trigger an fire alarm. It is not always feasible to use just one detector when you have to save both life and property; specially in industrial complex. A smoke detector can detect fire based on the smoke it emit during the combustion process. On another hand a flame detector detect fire based on its flame. Thus to improve over all efficiency and reduce time of detection; a multi detector fire detection system is installed in commercial spaces. Many a times with just one device holding many different detectors. Different combination of fire detectors are used at different place; based upon their individual advantage and disadvantages. In such a device both smoke and heat detector detects the fire individually. Once detected they give signal to the control circuit; which then match it with preset value to raise the alarm. Such a method increase the sensitivity and range of the fire detection system; leading to proper utilization of resources. Why Does Fire Detector Beep And How To Fix It ? While most detectors beeps in one form or another; all smoke detectors definitely does beep. A fire detector should ideally beep when; it detects the presence of fire flame, smoke or heat based on detector type. But they can also keep beeping when the manual test button is pressed; dust penetrated to the system ( just for smoke detector ) or it is not getting sufficient power supply. Luckily for most people they never had listen to its beeping in event of real fire. But listening to its unnecessary beep is also troublesome and frustrating. The most common cause for such a beep is; improper power supply to the device in form of primary or secondary power. Basically when the secondary power source i.e batteries get dead it start to raise a low intensity beep sound; or may be fault in primary power source in form of return current in ground neutral. For most part you just have to remove the lock screw and separate; the half assembly to replace batteries. Once you replace the battery; put back the assembly in its place and test the device using test button. Ideally the test should run for two to eight minutes and then stop. There are case where replacing the batteries still not solve the problem. Under such condition; we have to unplug the main power source, remove the battery; and then hold the test button for few seconds before reassembling the unit. If it still don’t stop give it a soft blow of compressed air to remove any dust particle penetrated the system. If the problem persist its time to replace the unit with the new one; and try to find and fix the problem in old detector. Under regulation two part c of solas; all sea going vessels above 100 grt is required to have a fixed fire detection system to raise alarm in event of a fire. The fire detection system must be installed based on the type of possible fire hazard; working area and scope of fire fighting. Furthermore they are required by the regulation to provide; manual call to action point to raise alarm. These action points are used to raise alarm manually; alerting the bridge personnel. A fixed fire detection system with both smoke and flame detector is required to be installed in; machinery space and control room. A fire detector used must be of the approved type and comply with the fire safety code. They are required to detect the presence of fire through its flame or smoke rapidly; under varying ventilation and temperature conditions. Such a system is then required to be tested periodically to be approved for continues use. A separate fire detection system of just smoke detectors are installed in escape routes, galley, stairways, accommodation and navigation bridge. Once detected; it raise alarm and close the ventilation system in dedicated area while notifying the place of fire on bridge control panel. First the fire is contained and controlled within the thermal isolated boundary before actual fire fighting. Is it Safe To Have Fire Alarm Installed When You Have a Baby ? Being a marine engineer i have seen and fixed many fire detectors before; but a question like this never strikes to my mind till my elder brother ask me this question when he had his first baby. Honestly i wasn’t much sure that time; and so i spend much time researching on this topic. I spend hours reading articles after articles online and even calling up a doctor who also used to be my childhood friend. What i find is that; a child ( up to 1 years old ) have very thin and sensitive ear structure with more sound sensitive hair cells. We all loose these hair cells with time reducing our hearing capabilities with age. An fire alarm can be in the range of 60 to 140 decibels of noise based on its type and manufacturer. For comparison; traffic noise in a busy day is 90 decibels in average while an alarm clock is 75 decibels. A prolonged exposure to sound above 85 decibels can damage the hearing capability of a child; causing premature loss of sound sensitive hair cells. Typically a fire alarm has a noise level of 85 db at 3 meters distance and is considered safe for kids. But since an infant ear has lower level of tolerance to noise; do not test fire alarm unnecessarily. A 85 db sound limit is there to wake an adult person even from sleep in event of real fire; thus protecting lives of your loved ones. Build Upon The original Image from Katy Warner | Year : May 4, 2008 / Jan 2019 | License: CC BY-SA 2.0 . One can easily know of a small fire using smoke detector installed at various places; to contain and extinguish fire on time. While usually you will find it raising alarm; every time you burn your food in the kitchen. But they also save lives in event of real fire and are relatively cheap. A Smoke type fire detector came in different shape, size and prices. You can check on its different types and their current price from link over here on Amazon. Once you get your perfect fire detector; its time to find the place you should install it. Ideally one should install fire detectors on each floor, near kitchen, on stairways, bedroom and basement. Generally speaking; it all depends on your house size and layout and can be altered based on need. But in all case you must should provide at least one detector on each floor mounted on the ceiling. Since smoke tends to rise up as it spreads; all smoke alarms are installed on the highest possible point on wall and on ceiling away from ducts and window. In home with pitched ceilings; one should install the detector three to four inch below the apex of its peak. Arrange all the tools required to drill and fix the detector on the wall or ceiling. There are many available drilling tool kit in the market of which; i personally use portable drill set run by both electricity and battery. You can check on its current price on amazon from link over hare. Select an appropriate Location on the wall or ceiling way from door, ducks and window. 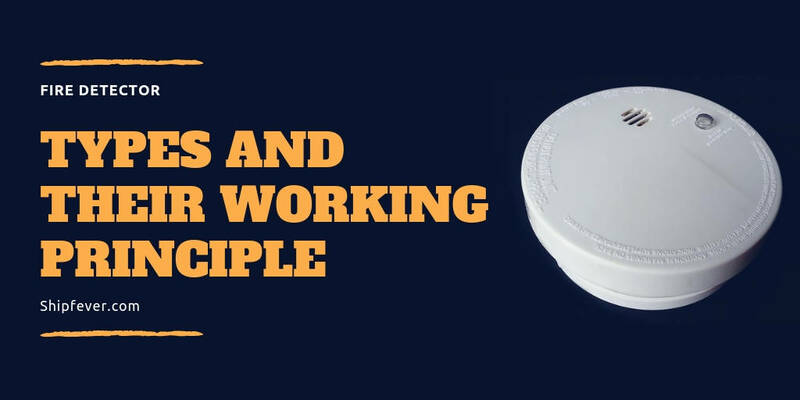 Carefully separate the smoke detector into its main part and its frame. Insert a new battery into device if required. Place the detector frame on position and mark the position for screw holes using a pencil on wall or ceiling. Now carefully drill on these marked position with steady hands. Use a drill size slightly smaller than the sleeve anchor provided or used to ensure slug fit. Now insert the sleeves onto these holes and gently hit using a hammer to fit it into place. Once again place the detector frame into place and put screws onto the holes. Secure the frame in place tightening the screws using a screw driver or an multipurpose electrical tester. Now gently attach the main unit back to its frame. Once done push the test button to see if it works. Note: For some fire detectors you need to provide electrical power to the unit to work. They use electrical power from any of the nearest point as their primary source with one wire running to the other detectors to work in synchrony. To do this they are often connected together with a control unit or three way switch.